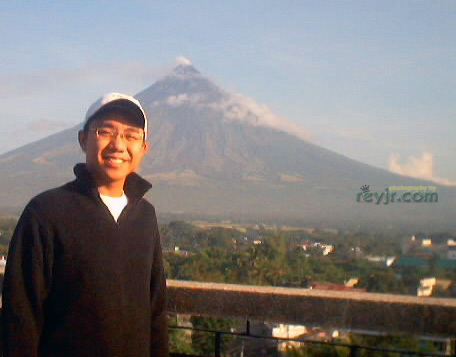 Back in 2004, my family and I went to Albay to see the beautiful perfect cone of Mayon Volcano. I remember we arrived - after 14 hours on the road - late in the evening and so did not get a chance to see it that night. Fast forward to 2009 - the photos of Mayon Volcano are those with ash and lava flowing out of its crater, accompanied by news of a bigger impending eruption, displacing thousands of residents - merely months after the devastation of typhoons in other parts of the Philippines. 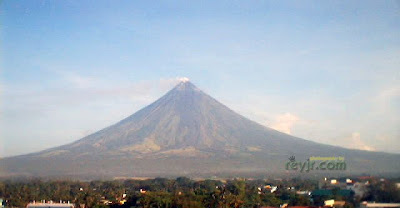 Year 2009 has become a landmark year for natural disasters and tragedies in the Philippines - include here the Economic crisis, triple typhoons Ondoy, Pepeng and Santi, the mass killing in Maguindanao, the death of the Philippines' icon of Democracy, and now the eruption of the Mayon Volcano. But the Filipinos are resilient people - a national trait that has had much practice in the past year. Like the people of Legazpi City, a city much battered by the volcano, that rise up literally from ashes after every tragedy and rebuild their lives. My Christmas wish is for all of us to help each other rebuild and recover, and to look forward to a more prosperous 2010. Merry Christmas Jena, and to your family as well. :D God Bless! What a lovely sentiment, ReyJr! Beautiful post. Love the shots of the volcano and of you and your sister. What a warm smile you have! You've been to a lot of places. Do you have a travel blog? would you mind sharing it to us? Wow. This seems like a very interesting place to visit. By the way. Happy New Year, and have you ever been to Norway? But I would love to go and visit Norway again. :) Ah Europe! Merry Christmas, Rey! I hope all in the path of Mayon's fury are well sheltered and looked after this Christmas. What a way to spend it. But think - isn't that just the sort of thing that was going on, on the first Christmas? Everyone uprooted from their homes, looking for shelter, commanded by the government as it counted heads? Here's to peace and resilience, more of the former and less need of the latter, in 2010. Meri Krismas too Rey, to you and your family. We will survive , sabi nga sa kanta!